We Need Your Help in 2019! Assisted Suicide: In the last election cycle, the proponents of a practice called “Physician Assisted Suicide” were unable to get the number of signatures needed to place the issue on the 2018 ballot. Because of this failure to reach the ballot, we expect to see a piece of legislation allowing this practice to be presented during the 2019 session. 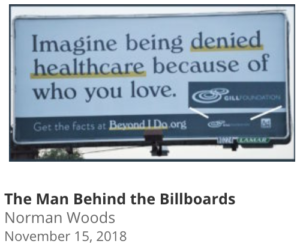 SOGI: If you have seen any of our recent articles discussing the blue and white billboards that are popping up in South Dakota, you know that Colorado money is wanting to add Sexual Orientation and Gender Identity to our statutory protected classes list. Our prediction is that a ballot measure in the coming years is the most probable avenue they will take, but a legislative attempt is still a real possibility. Alienation of Affection: There has been a lot of discussion lately in the news media about the Alienation of Affection statute in South Dakota. This statute essentially allows someone to file suit against another person who allegedly broke up your marriage and alienated you from the affection of your spouse. Some claim this statute treats people as property, while others speak to the legal weight and importance the language gives to the institution of marriage. These are only 3 of 12 bills that we are already expecting to see this legislative session, and we need your help! The Stand Banquets in September gave us a much-needed financial boost, but we fell short of what we need, especially with regard to FHA Action, non-tax-deductible funds. Because of this, we have set a goal of raising $20,000 in FHA Action funds before January 31st. In order to have a successful Legislative Session in 2019, we need your help! 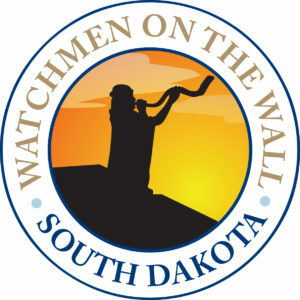 We have also set a goal of raising $20,000 in 501(c)(3), tax-deductible funds before January 31st. These dollars will continue to equip our staff in networking, alliance building, CIT engagement, public education, and many other areas. 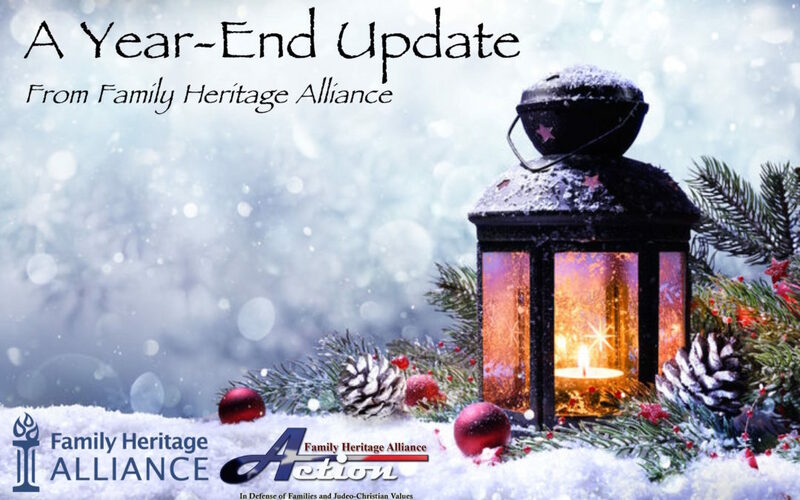 Would you consider Family Heritage Alliance in your Year-End giving? Click Here to help us reach our goal of $20,000 and ensure a successful legislative session! Click Here to give a year-end gift and help us reach our goal of $20,000!